Internships are important. They teach students valuable skills, and interns often get to contribute to something larger than themselves. In the case of four Truman students, it is hard to imagine their internships carrying any more weight than they did. If these interns did not fulfill their duties every day, hungry children would not get to eat. 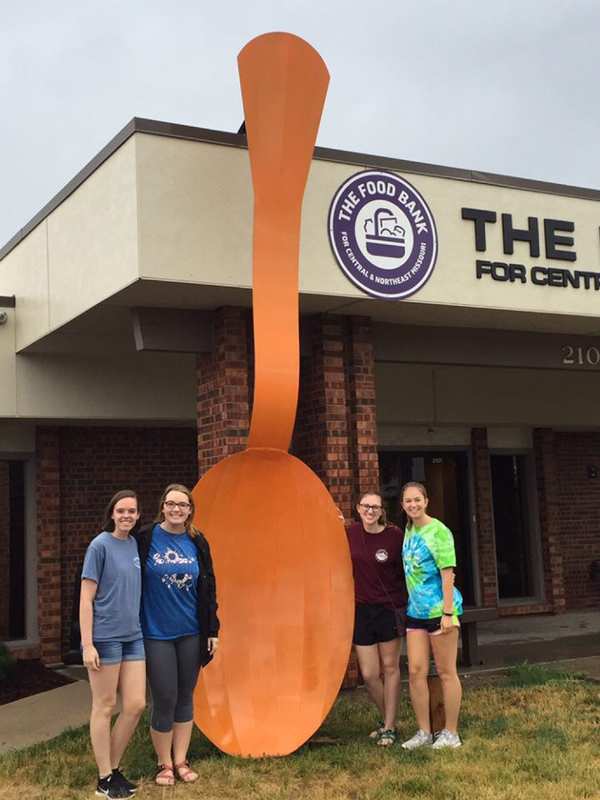 Students Kaitlin Roberts, Valerie Hagedorn, Emily Schaeffler and Mackenzie Snyder oversaw the Food 4 Kids program in Kirksville during the past summer. A joint effort of the Food Bank for Central and Northeast Missouri, the USDA and the city of Kirksville, along with several local churches and volunteer groups, the Food 4 Kids program strives to ensure as many kids as possible have regular access to adequate amounts of nutritious food during the summer. Truman interns have been contributing to the Food 4 Kids program for the last seven years, ever since Rebecca Zimmer, lecturer in psychology, took on the responsibilities of co-director. Zimmer, along with Cheryl Dorrell of the Kirksville School District, coordinates serving lunches in local parks every weekday during the summer. With the responsibility of more than 3,000 meals each year, as well as a family of her own, Zimmer turned to Truman students for help. After starting with one intern, she now regularly employees four each summer. Zimmer and Dorrell take turns supervising the interns, but the students are responsible for everything from meal prep, paperwork and volunteer logistics to coordinating with the Food Bank in Columbia. Roberts, a health science major, was the only student participating in the internship for credit. She served as the project manager and her work was more behind the scenes than the other three, each of whom were responsible for meal distribution in one park. Roberts hopes to parlay her experience into a similar career in the future. “For me, it’s been more of a professional growth experience,” she said. Each intern had her own reason for volunteering. One in five children in Adair County under the age of 18 is food insecure. For Snyder, the issue hits close to home. As a child, she witnessed her friend growing up in a household without food security. 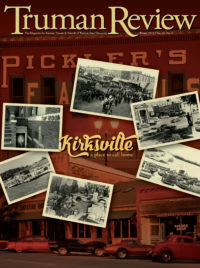 “I was already passionate about what Food 4 Kids was trying to do in the Kirksville community, and I really wanted to get involved just to kind of see the other side of things and help out with something that I witnessed growing up that I didn’t have the power to do anything about at the time,” Snyder said. An English and pre-MAE student, Schaeffler signed on to the Food 4 Kids program in an effort to get more experience with children outside of the classroom. She has learned firsthand how factors such as food insecurity and poverty can play a role in a child’s behavior. For someone who enjoys children and serving others, the internship sounded like an ideal fit for Hagedorn. She quickly got to know the kids who frequented her park and feels they showed up regularly for the social aspects as much as the food. While the nutritional component of the Food 4 Kids program should not be overlooked, the psychological and social benefits are just as important. “The kids are not just there to eat lunch, they really enjoy interacting with adult figures,” she said. Those unfamiliar with the Food 4 Kids program might assume the hour a day the volunteers are in the park would be a despondent time, but it is actually quite the contrary. By making a connection with the children and families the interns serve in the park, they are helping to erase a stigma about individuals in poverty. 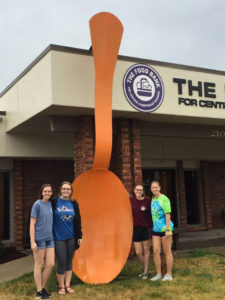 Truman students, from left, Kaitlin Roberts, Emily Schaeffler, Mackenzie Snyder and Valerie Hagedorn oversaw the Food 4 Kids program in Kirksville this summer.